As usual, I feel like I’m a day late and a dollar short. When I was teaching full-time, I felt as if I would never catch up with everything on my must-do list. My mantra became “I’ll be finished in June”. Well, in retirement the only deadlines are self-imposed and June never comes! As teachers, we know that teaching the quality of being kind and creating a culture of inclusiveness happens every single day. One way to inspire kindness, acceptance, and inclusion in children is by reading books that embrace these qualities. 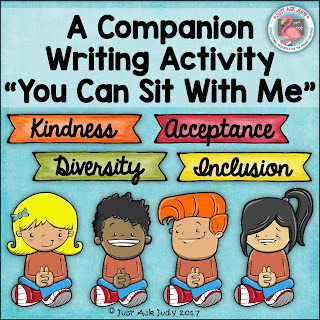 I discovered the recently published book, “You Can Sit With Me” (Lisa Combs, 2016), which embodies these in an appealing, child-friendly way through the simplicity of the inclusive statement, “You can sit with me”, repeated throughout. I am sharing a free resource, perfect for first and second graders, which invites students to create a written response to this book. Please note: You will need to purchase a copy of the book. 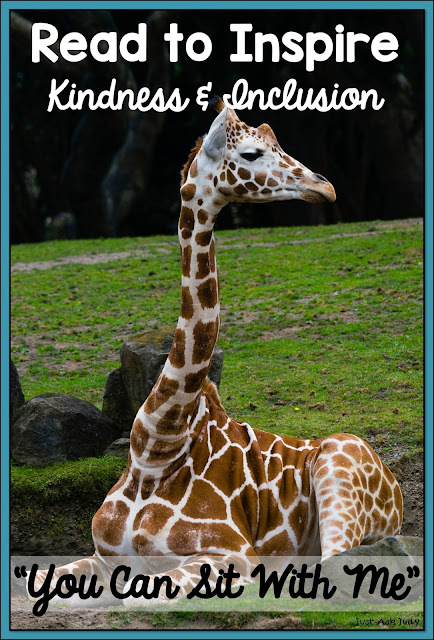 This resource includes a structured written response to the book, using five different whimsical characters. Students start by coloring the character creatively. They finish the sentence stem “You may” by describing attributes of the character. They should write a second positive sentence, expressing acceptance of the character or a sentence comparing the character to themselves. The last sentence is a refrain from the book. There is space at the top to draw themselves. I have included a page without a character, if you’d rather your students draw from their imaginations. There is also a page to substitute sit in the last sentence with a different verb. 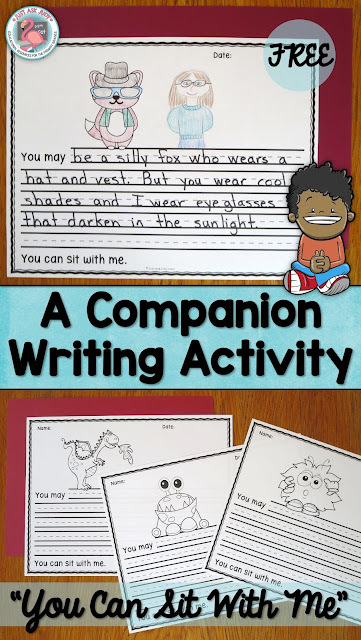 You can download this free companion writing activity for “You Can Sit With Me” from my TpT store. Be sure to use #kindnessnation and #weholdthesetruths to search for additional free resources. What is your favorite book for teaching kindness, inclusion, or diversity? 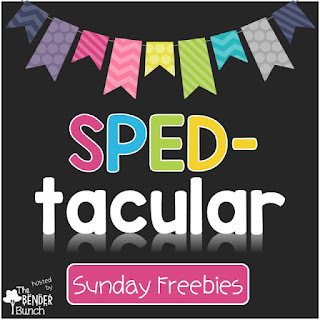 Stop by The Bender Bunch to check out the variety of SPEDtacular Sunday Freebies!